With help from diligent testers - Abandoned and QueryEverything. Thanks! here is a small addition to occupy your bannies. A house with storage add-on and very small workplaces. and a fence to match. 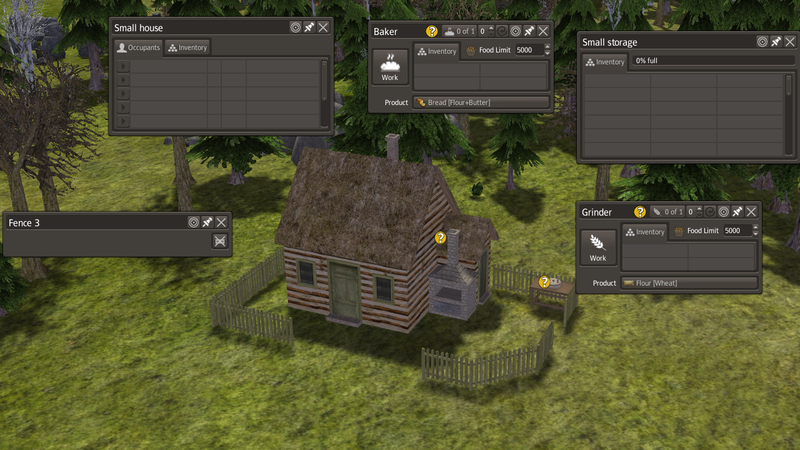 House/fence/storage with different textures on f-key. New texture on cattle and now they give milk. Good for all who don't use CC or NMT. It is compatible with CC NMT but I can not guarantee what sort of cattle you get.